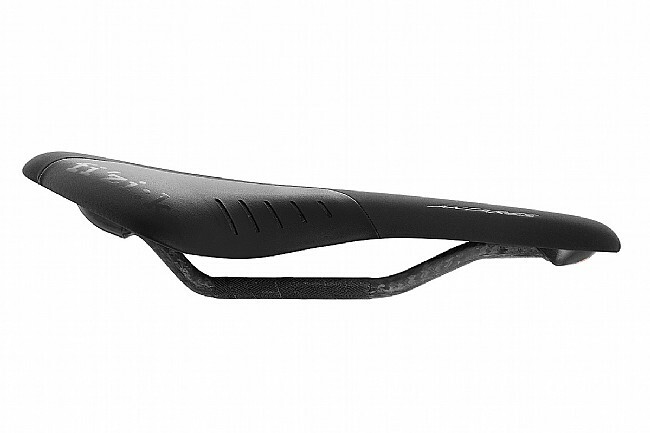 Middle of the road, but not middle of the pack. 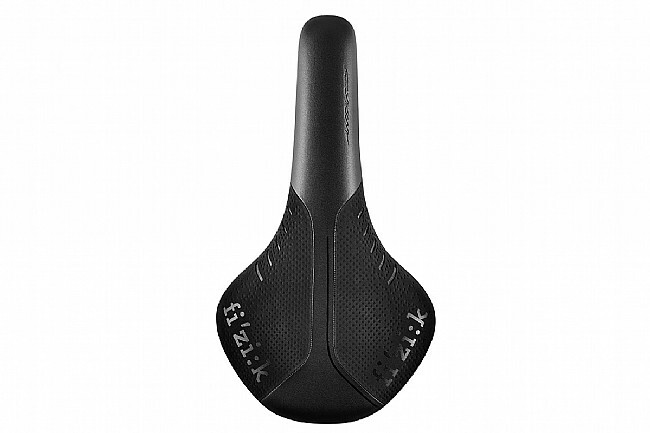 Representing the middle of the Fi'zi:k saddle line, the Antares R1 saddle this sheds weight and stiffens up, skimming the top off those bumps and buzzes that sap away at your strength. 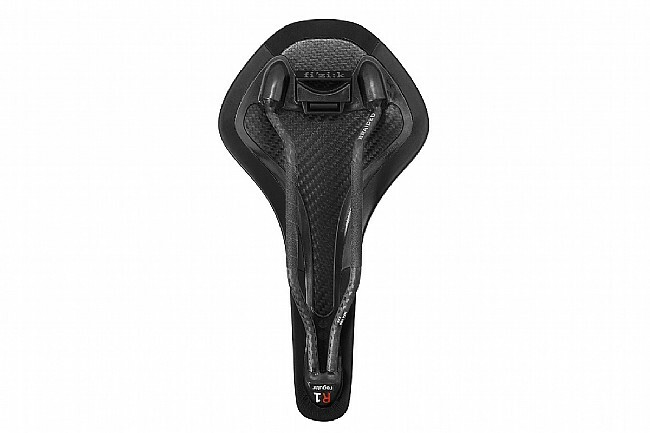 In order to deliver a high-performance saddle that cuts weight off of the already lightweight budget-priced R3, Fi'zi:k chose to use a composite carbon shell and carbon braided rails. 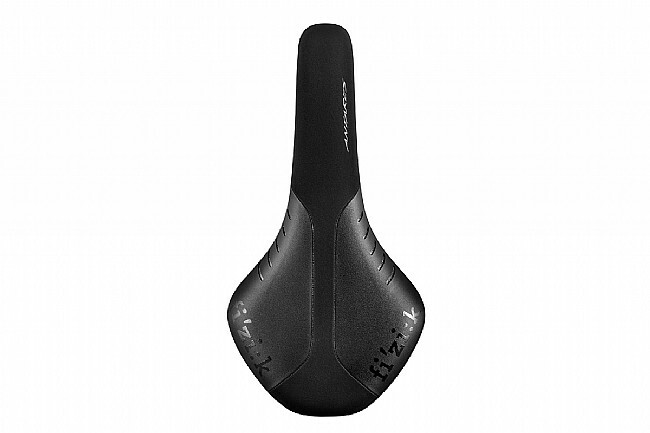 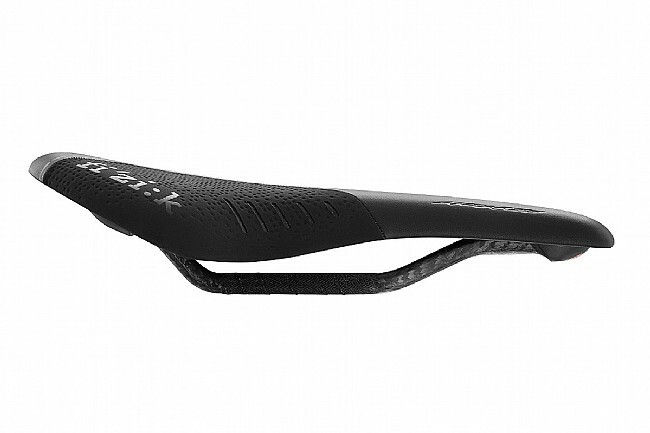 While the obvious advantage of this is a lighter weight saddle, the hidden benefit is a saddle that helps to skim the worst of the buzzes and the bumps off your ride, reducing the amount of fatigue your body gets. 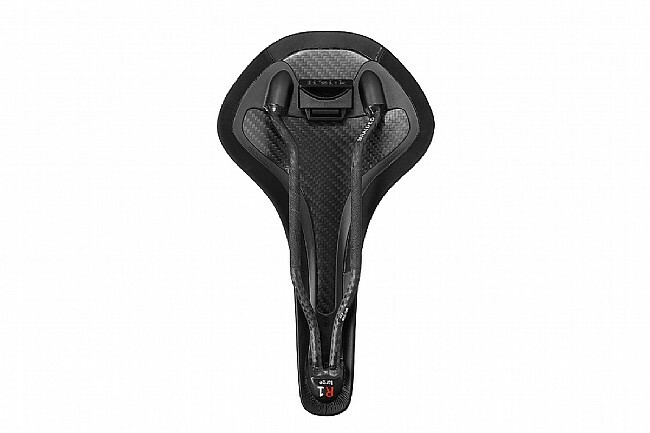 Of course, all of the Antares saddles feature redesigned Wing-Flex sections to increase the flexibility throughout the saddle, specifically at the thighs.